This is my go-to spot for seed loving birds like Purple Finches. I had not seen one yet in 2017 and made it my first stop on this holiday Friday. 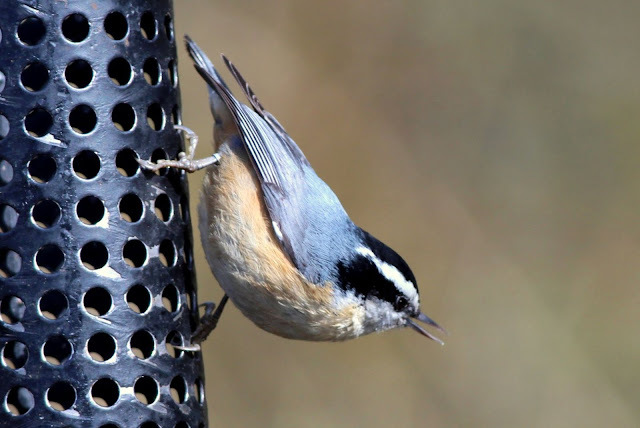 I did not get my Finch on this day, but took some great shots of other seed eaters. The light in the early morning was perfect for close-up photography. The first bird I recorded was one of the most common. 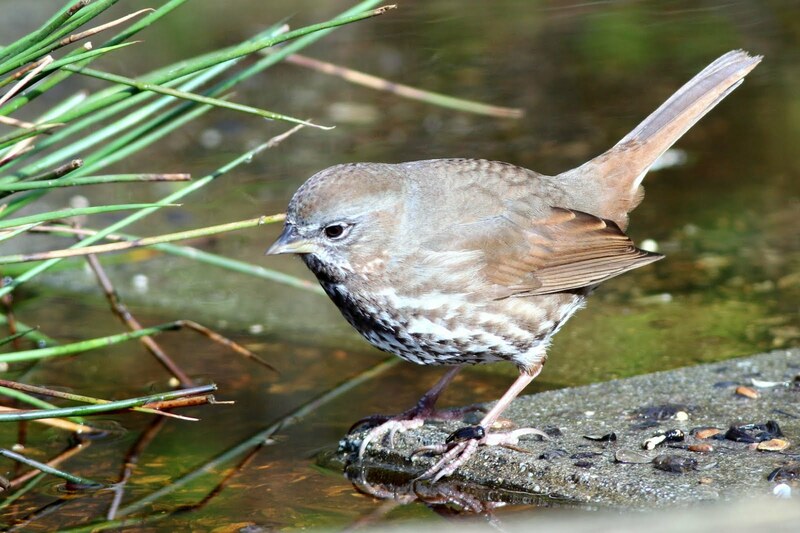 The next bird I saw was a Fox Sparrow. 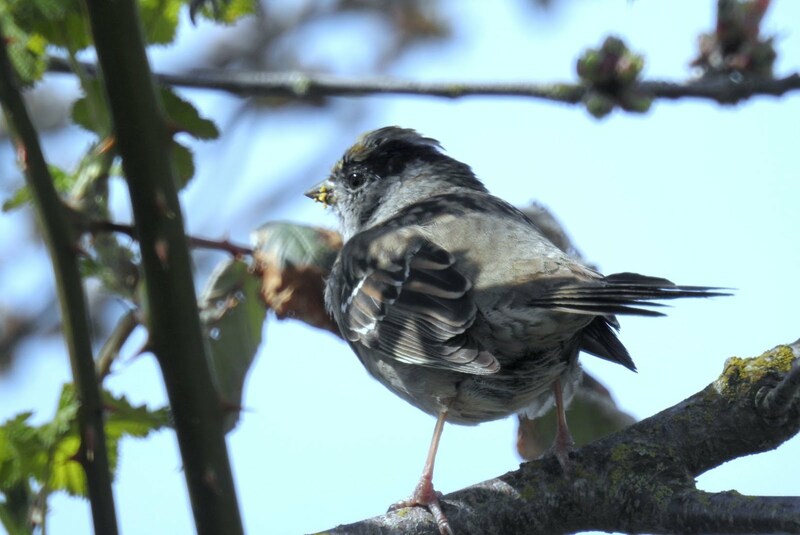 This is my best shot of the year of this species. The dark spotting on the breast indicates Fox rather than Song Sparrow. 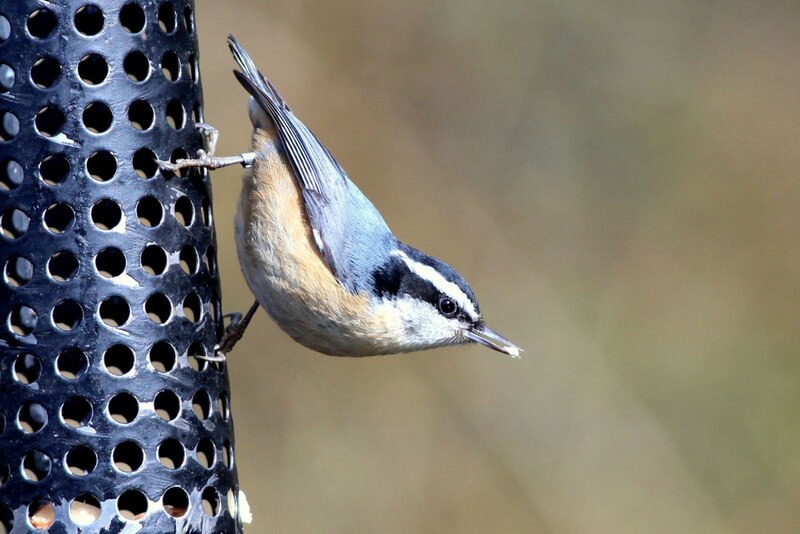 After struggling to get a good Red-Breasted Nuthatch photo in the Okanagan, it was a pleasure to get these close-ups today. I left the Nature Park and drove across town to Iona Regional Park. I did not have time to walk the Jetty, so I toured the areas around the outer ponds. 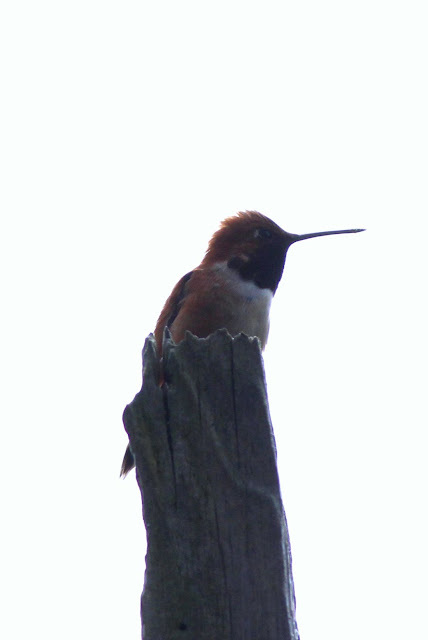 I saw my first Rufous Hummingbird of the year perched on a stump. 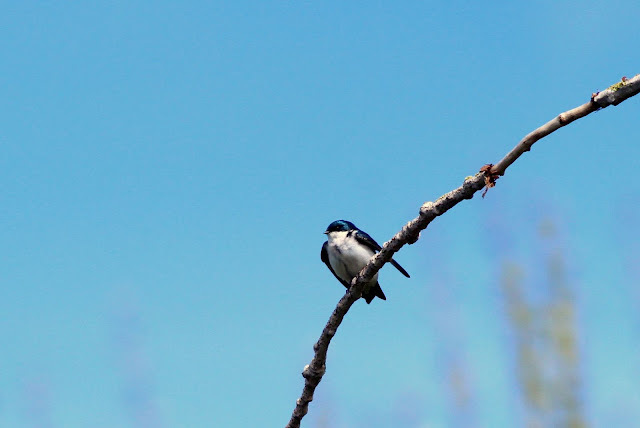 Just outside the gate to the inner pond was a Tree Swallow. 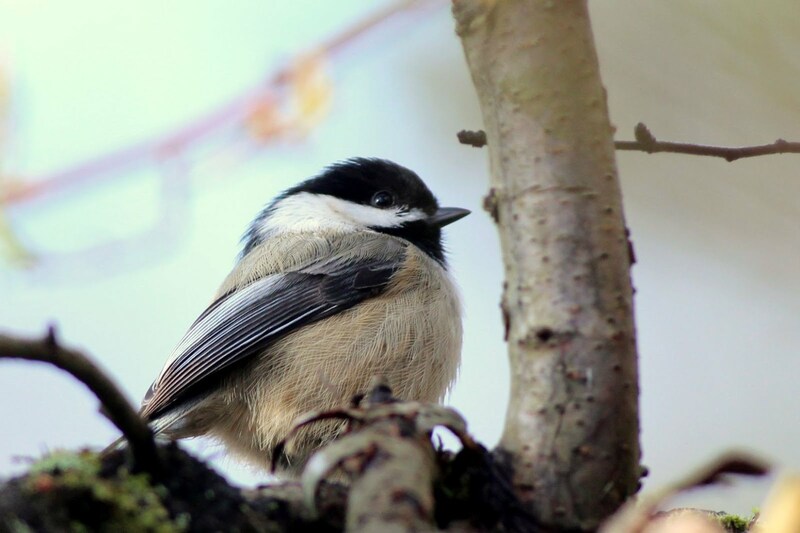 Its nest was probably close by. I opened the gate and went into the Inner Pond area of the sewage treatment plant. 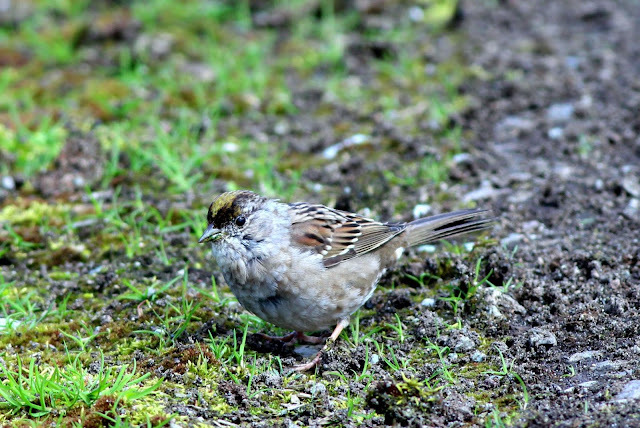 The trees along the fence line are good for ground feeding sparrows such as this Golden-crowned. 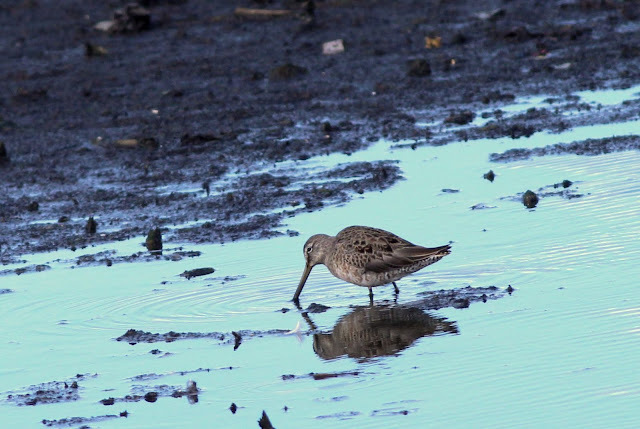 I made my way around the sewage ponds and found some large shorebirds feeding in the muck. They were Dowitchers, probably Long-billed. I returned to the gate and crossed back into the area around the outer ponds. 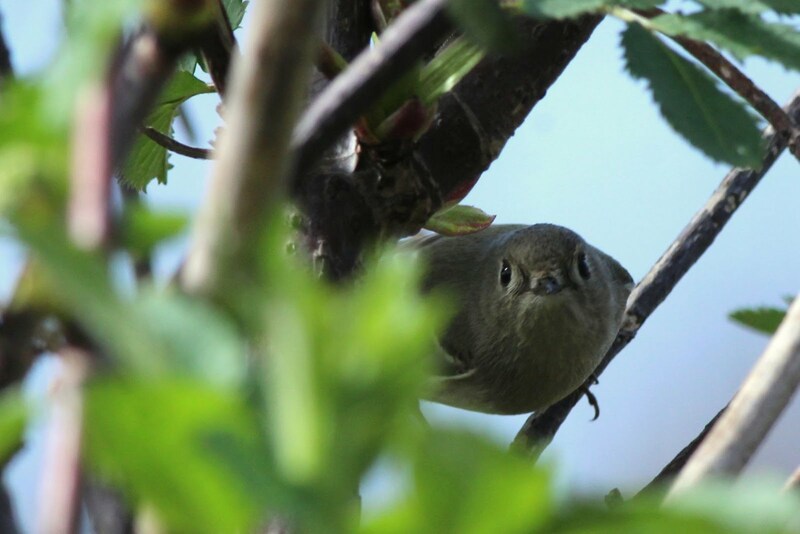 A small bird was flitting about, another Ruby-crowned Kinglet. I've seen these birds everywhere this spring during migration. I left Iona and travelled south towards Surrey. 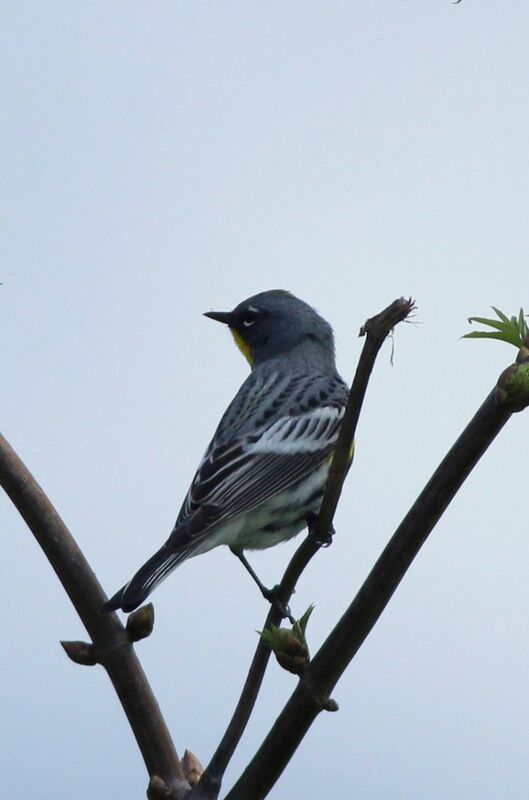 I decided to check out Serpentine Fen in the hopes of seeing Orange-crowned Warblers or Common Yellowthroats. 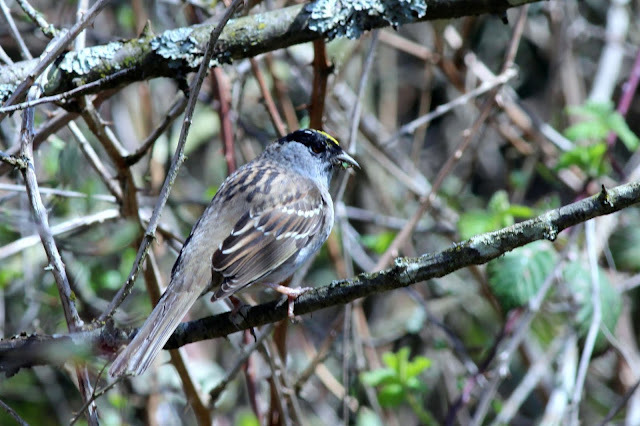 I had no luck with those Warblers, but did see some more Golden-crowned Sparrows. 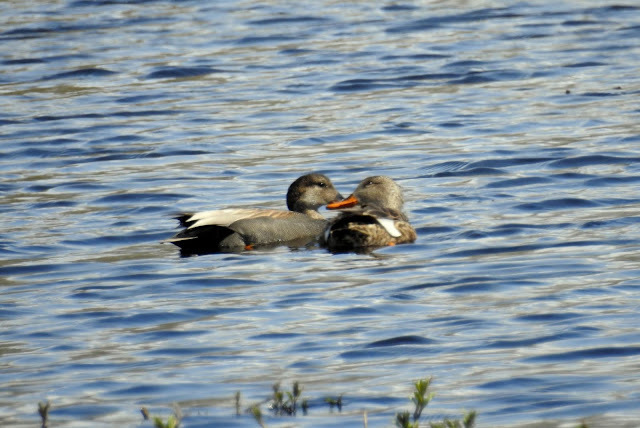 On one of the ponds I spotted a pair of Gadwall, the most likely duck to see male and female close together. These were no exception. 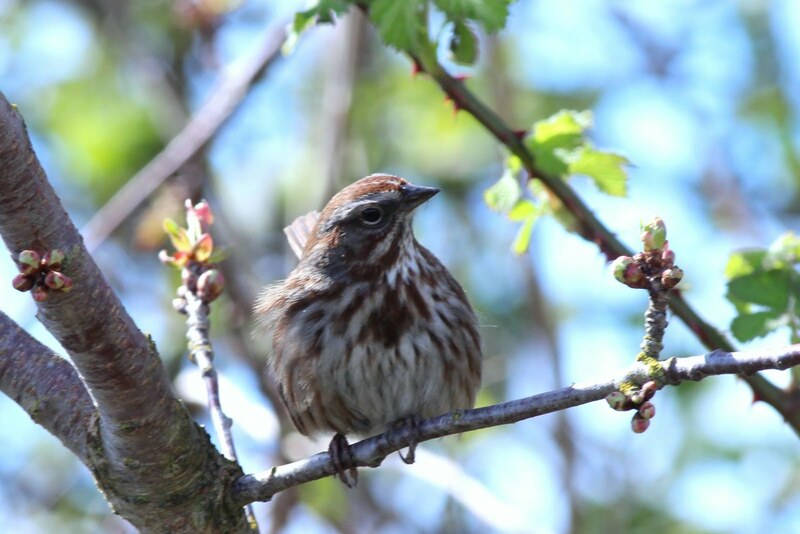 My final bird of the day was this handsome Song Sparrow. My next outing would be on Easter Sunday.